Glorious sandy beaches, picturesque mountains and Venetian towns make Crete the perfect holiday destination. Crete is the largest of the Greek islands and the fifth largest island in the Mediterranean Sea. It is 160 miles long and 35 miles across at its widest point. Candia (the Italian name for Crete) is divided into four main sections: Chania, Heraklion, Lasithi and Rethymno. Each of these providences have something unique to offer hoildaymakers. Chania is a modern city with a variety of old venetian homes. Located on the western end of the island, it has waterfront restaurants, museums, churches, craft shops and a host of cafes to choose from. 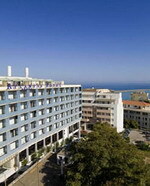 Heraklion is the capital of Crete and the biggest city on the island. This city houses the International airport and is the economic center of the island with museums, architectural sites, gorges, landscapes, beaches and small villages. There are unique shops and a Saturday market. Lasithi is the city on the eastern corner of the island, just east of Heraklion. 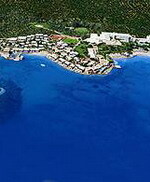 Lasithi is home to a port, resorts, a plateau, windmills, the Cave of Psychro and sandy beaches. It boasts vineyards, olive trees and citrus trees due to its relatively warm year-round climate. Rethymno is a city that is divided by the old and new towns. The Venetian fortress overlooks the town. It also features a harbor and waterfront, cafes, archaeological museums and a historic area. Though taxis are available in Crete, walking and hiking are probably the best way to tour the island. A walking tour allows holidaymakers a wonderful sightseeing experience. Aside from the sprawling beaches, tourists will see snow-capped mountains, vast seas, small villages, gorges, caves, flora and fauna. It's all about the food in Greece. Holidaymakers can look forward to some of the best Greek food in Crete. Restaurants serve authentic Greek food, which is simple, but full of fresh, robust ingredients that are mainly found on the island. The dining experience in Crete is relaxed. A meal can last for hours and is centered around the idea of family and friends socializing. Wine is usually part of dinner, and cafes are popular for coffee after dinner. Holidaymakers can do more in Crete than relax on its miles of beaches. Water activities like snorkeling, scuba diving, paddle boats, glass-bottom boat tours, yachts, canoes, kayaks, surfing and jet skiing abound. There is also plenty to do on land. Consider checking out the Matala Caves, Samaria Gorge, Limnoupolis Water Park, Creteaquarium, walking trails through the mountains, small villages and Greek night life. Crete has unique situations to meet a wide variety of holidaymakers and their budgets. Visitors can opt to rent a villa, book a hotel, stay at a countryside inn, rent a suite in an old Venetian building, stay in a modern room on the beach or book a room at a luxury resort. Or maybe even go self catering on a Crete villa holiday The first step is to decide which area of Crete you want to visit and then look for the type of lodging that suits you best. Holidays in Crete are often filled with breathtaking views, special moments, historic lessons, culture, relaxation and fun. 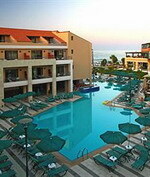 Because Crete is also dependent on tourism, the people are very accepting of tourists. They are very welcoming and go out of their way to make visitors feel at home. The best way a holidaymaker can get the full experience of Crete is to travel from one coast to the other, taking in all of the sites and beauty the island offers tourists. in the air-conditioned lobby, and Internet access is d in Heraklion on the island of Crete, Greece, 100 metres from the Archaeological Museum and six kilometres from the Palace of Knossos. Heraklion Airport is five kilometres away. Situated in a quiet neighbourhood, the modern five-storey Aquila Atlantis has an indoor swimming pool and views of the historic Venetian harbour. Complimentary newspapers are offered available on site. The formal Ariadne Restaurant serves a range of Mediterranean and international dishes for lunch and dinner. Vegetarian and children's menus are available on request. The Ekali bar offers a variety of coffees, cocktails, light meals, and desserts. Dating from the 19th century mythological Minotaur, and since Roman times the palace of King Minos has been thought to be the Labyrinth. Though the city has been variously plagued by earthquakes, tidal waves, and fires, the ruins remain utterly impressive. The Elounda Bay Palace is situated on the north east coast of the Mediterranean Island of Crete, 70 km from Heraklion International Airport, 9 km from the town of Agios Nikolaos and 1.5 km from the village of Elounda. 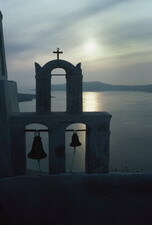 There are convenient daily air services by Olympic Airways, Aegean Airlines etc. from Athens Airport to Heraklion offering connections to and from major European Cities and the USA. Guests can choose from a variety of Restaurants in which they can experience a wide and imaginative selection of international and traditional delicacies, accompanied by live music. Aretoussa Main Restaurant: offers American Breakfast Buffet, Lunch Buffet and Three Course Dinner Menu with salads, starters and dessert Buffet. Serving Greek & International Cuisine. Ariadne a la Carte Seaside Restaurant: Offers Grills and a la carte Lunch and Dinner. Serving Greek & International Cuisine. Thalassa Restaurant: Offers Fish delicacies served on the waterfront. The Galaxy Hotel is located in Iraklio on the island of Crete, Greece, 800 metres from the historic centre and three kilometres from the Minoan Palace of Knossos. Heraklion Airport is five kilometres away. This contemporary hotel provides a gym and spa services, including massage treatments. There is also a swimming pool and a sauna. Business facilities include a business centre and conference rooms, and wireless Internet access is available. Galaxy Hotel offers a modern restaurant serving breakfast, lunch, and dinner, as well as a pool bar serving snacks and cocktails. Live music is played in the hotel's bar. 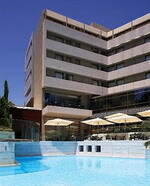 Magda Hotel is a four-star hotel in Crete, Greece, that was built and renovated between 1993 and 2007. The hotel is built in a style where the atmosphere and the soft colors and flowers will make you feel nice and comfortable during your holiday. The friendly atmosphere, comfortable rooms, excellent service and moderate prices make our hotel the ideal place for a nice and enjoyable holiday. The hotel is located in Gouves, 16 km from Heraklion, 14 km from the airport, 6 km from Chersonissos, 3 km from the traditional old village of Gouves, 200 meters from the resort center of Gouves, and about 80 meters from a beautiful sandy beach. Except from the lovely sea front, you can also find bars and restaurants for your entertainment in the area. Porto Platanias Beach Resort promises you a holiday experience of the highest quality and ensures a satisfying and memorable stay! Porto Platanias Beach Resort, a resort designed to offer ultimate pleasure and recreation, is located in one of the most cosmopolitan regions of Crete, Plataniás, 9 kilometres west of the town of Chaniá and 20 kilometres away from the airport of Chaniá. Built in a sublime area of 30,000sq.m. by the sea, the hotel features all modern amenities that can offer the pampered luxury that you deserve during your holidays! On the northwest shoreline of Crete, Greece, in the bay of Almyros near the picturesque fishing village of Georgioupolis, halfway between Chania and Rethymno amongst scenery of unparalleled beauty, and near settlements that retain traditional Cretan elements but also villages with a cosmopolitan atmosphere, lies Pilot Beach Resort. Pilot Beach Resort offers a unique combination of tradition, hospitality and luxury with the comforts of a state of the art hotel The Pilot Beach Resort with its spacious luxurious public areas and unique Cretan architecture is set upon an area of olive and avocado trees right on the sandy beach of Georgioupolis offering spectacular views of the Aegean Sea and the famous White Mountains. Pilot Beach Resort is considered among the finest five star hotels in Crete and offers services of the highest standards alongside the well known authentic Cretan Hospitality.